Have you ever been on a long drive and needed a cup of coffee? Or maybe you want to plan a stop in a few hours and want to know where you will be? You don't want to start exiting the freeway randomly and you don't want to find something thats out of your way. You need to find your place along your way, you need to Drift! We put a Qt developer in a room with a couple of iOS devs and an Android dev and brewed something up. We then got a Portland, Maine designer to make it look pretty. Our geometry engine is AWESOME! Yelps API is not so awesome (but they do open source it so you can extend it!!!!)???? 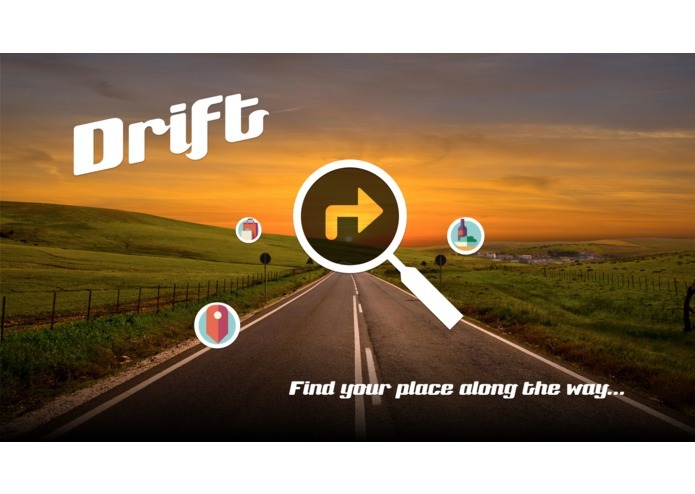 sharing a route from navigator to allow you to Drift! Integration with other 3rd party apps Writing it up so our developers know how we built it! I worked on the yelp query code. Some geometry engine calculation code. Some app theming. App icon and related graphics.